General Motors (GM) has cancelled plans to sell a majority stake in its European car business Opel, including its UK brand Vauxhall. The US giant said in a statement that its board had made the decision because of "an improving business environment for GM over the past few months". GM had agreed to sell Opel and Vauxhall to Canadian car parts firm Magna. It said it would now be seeking aid for Opel from the German government and other European states. GM added that it had come to its decision because of the importance of Opel and Vauxhall to its global strategy. It said it would now "initiate a restructuring of its European operations in earnest". Magna co-chief executive officer Siegfried Wolf said: "We understand... it was in GM's best interests to retain Opel. "We will continue to support Opel and GM in the challenges ahead," he added. General Motor's (GM) decision to keep Opel and Vauxhall rather than sell the two marques to Canadian parts maker Magna and Russian Sberbank, seems logical. GM never really wanted to get rid of its European operations, fearing it would hamper its global competitiveness, in particular in Russia - which is expected to emerge as Europe's largest market over the next few decades. 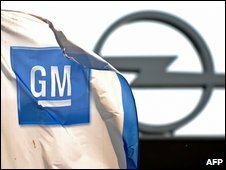 But the American automotive giant was forced to agree to sell Opel and Vauxhall ahead of bankruptcy proceedings during the spring, as US taxpayers were loath to also bail out GM's foreign operations. In Europe, Germany in particular had been prepared to dig deep into its pockets to ensure Opel's survival in the run-up to a general election in September. Opel still needs large cash injections, though whether Germany will still be willing to deliver them now that election has been won is another matter - not least since any funds injected by European taxpayers at this point would help bolster a GM majority-owned by US taxpayers. In the UK, business secretary Lord Mandelson said he was "keen for very early discussions" with GM over their plans for the business and how they might affect British plants and workers. "I have always said that if the right long-term sustainable solution is identified, then the government would be willing to support this," he said. But there was anger in Germany, where the planned sale of Opel had been dragging on for months and the German government had pledged Magna 4.5bn euros ($6.7bn; £4bn) in financial aid. After the decision was announced, German Economy Minister Rainer Bruederle called GM's behaviour "totally unacceptable", while Christine Lieberknecht, the premier of Thuringia state, which hosts an Opel plant, called the decision a "low blow". Government spokesman Ulrich Wilhelm said Berlin regretted the decision, adding that it wanted GM to repay 1.5bn euros in bridge financing extended by German banks. GM first said in March that it wished to offload Opel and Vauxhall, before finally agreeing to sell to Magna in September. The US giant's decision to sell its main European business was made after it was forced to announce a group-wide loss of $30.9bn for 2008, after its sales plummeted in the global recession. However, aided by financial support from the US government, and a brief period in US bankruptcy protection in June and July of this year, GM has since managed to turn around its fortunes. On Tuesday, GM said its US sales had risen in September for the first time in almost two years. It is in this context that it now wishes to hold onto Opel and Vauxhall. Unite's Tony Woodley: "This isn't actually a surprise to me"
Car analysts said they were not too surprised by GM's announcement. "GM never really wanted to get rid of Opel, they were being forced into it because of their financial situation," said Aaron Bragman of IHS Global Insight. "A lot of GM cars have come out of Opel's engineering, so Opel provides a very useful service for GM globally. "Maintaining that foothold there is something that is beneficial for GM in the long run." However, the German media is already questioning how easy it will be for GM to simply cancel the sale agreement. This is because when GM went into administration, ownership of Opel and Vauxhall was transferred to a trust, headed by two representatives of GM, two from the German government and one independent panel member. German newspapers have speculated whether it is this trust and not GM that will have to make the final decision. Opel employs a total of 54,000 workers across Europe, with 25,000 based in Germany. In the UK its Vauxhall brand employs 5,500 people across two plants in Luton and Ellesmere Port. Unite, the main union at Vauxhall, last month reached a deal with Magna to limit job cuts at the two factories to just 600 people, and all through voluntary redundancy. Tony Woodley, secretary general of Unite, told the BBC that GM's news was an "incredible turnaround". "The decision is in my view a fantastic decision and the right decision for General Motors themselves," he said. "There's no logic in breaking up the company. I believe it is the right decision in spite of a good deal that we'd struck with Magna." 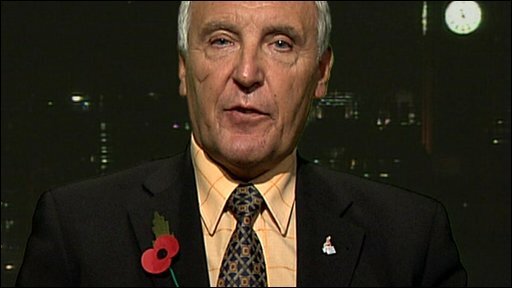 Mr Woodley added that there would now be negotiations with GM bosses over plans to restructure the company. The decision to sell Opel to Magna had been controversial because of the German government's offer of the 4.5bn euro loans. The European Commission warned last month that Berlin's offer of this aid may breach European competition rules because there were "significant indications" the German government had only been offering the money if Magna's bid was successful, and not that of rival suitor, Belgian investment fund RHJ. The German government immediately denied any wrongdoing.